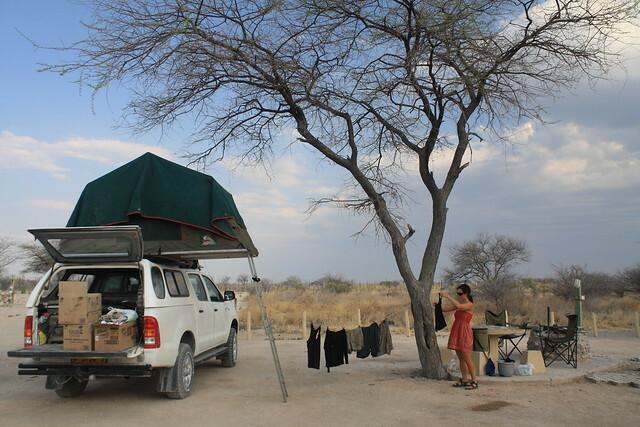 Laura and I debated back and forth about the merits of doing our southern African tour independently and renting our own 4×4 or going with an overland tour operator. Both ideas had their plusses and minuses. 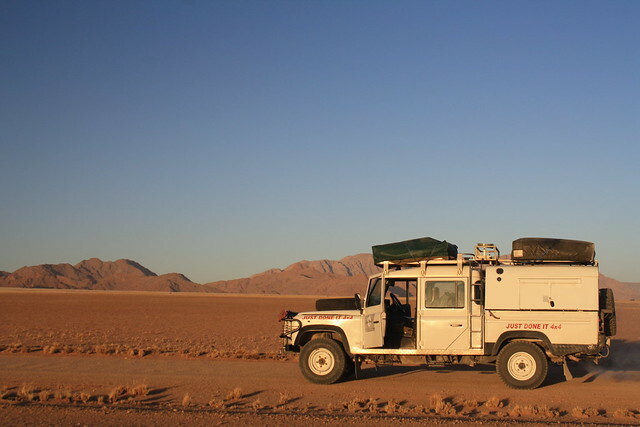 With an overland tour, the obvious plus is that you take planning out of the equation. Tour operators have traversed the continent many times and know where to go, when to go and what to see. The research has been done and you, as the client, can blindly follow along (for better or for worse). Overland tour groups come equipped with knowledgeable guides who can answer many questions and provide wonderful information on wildlife, flora and fauna. Also, an overland tour can significantly cut costs, especially for the lone independent traveler. Finally, and again important for the solo traveler, overland tours present opportunities to meet new friends. Our tour of Tibet, although absolutely terrible, allowed us to meet some great people, many of whom we still keep in touch with long after our tour. The downside? Well, as someone who has done a few tours, I can say that the experience typically isn’t as enriching. It’s difficult after an entire year of independent travel to follow a schedule that someone else has put together for you. The best part of travel, especially long-term travel, is that you can take the time to see things at your own pace, lingering in the places you enjoy and hitting fast-forward through some parts that aren’t so great. There’s nothing worse than being herded around like a group of cattle when you’re years away from grade school. This was enough to propel Laura and me to splurge and opt for a self-drive safari through southern Africa. We went back and forth many times, not because the decision was so tough but rather because the cost was so great for two meager backpackers. Our decision rested on the single question – When else will we have the freedom (no kids, no debt, etc.) and time to traverse this large swath of continent? Never. As such, we were going to do it the way we wanted to. 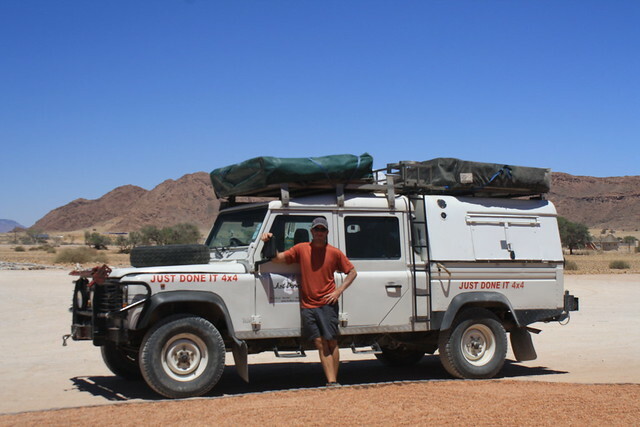 So, the upside of doing this 4×4 safari independently is simple – it’ a full-on experience where you can follow and change your itinerary on a whim and learn as much through osmosis as personal experience (both triumphs and failures). There are so many downsides to self-drive tours it’s impossible to list them all, but here are a big few. 1. Car problems. 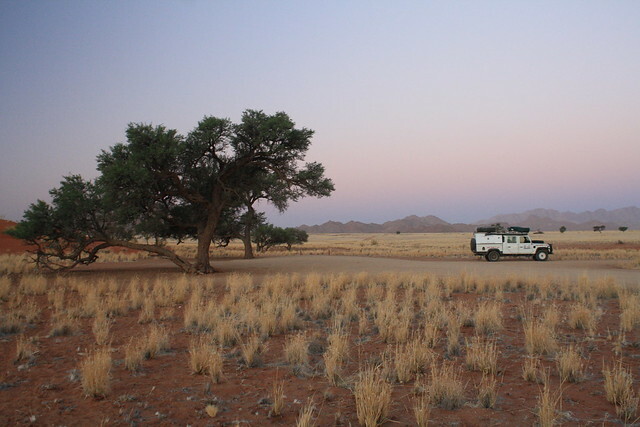 I’m the furthest thing from a mechanic and the last place you want to be stuck is the Namibian outback. There’s plenty of it, too, with Namibia being the least densely populated country on the planet. 2. Costs. While a drawback, we did the math and it seems we paid only a small premium, to quote Fleetwood Mac, “go our own way.” In the end, I believe the experience we had far outweighed the cost. 3. No guide. As mentioned, overland tour guides can be very helpful so this was something we missed. However, we bought the very helpful Shell guide to Botswana and had a lot of fun learning about the different animals we were spotting along the way. The biggest question one can ask them self after deciding between two things is if you were in a similar situation, would you do it again. Yes, we would. Absolutely, we would. We had a lion’s share of car problems on our safari (yes, pun intended) but these were all part of our experience. I learned as much about 4×4 trucks as I did about wildlife. I am now an off-road driving expert, comfortable driving through feet of sand or water. I became a budding ornithologist and wildlife field guide with the help of several wildlife books we purchased. Also, we were able to experience more of Namibia and Botswana’s cultural aspects than we would have through the pre-packaged, bite-sized and sterile tourist interactions we normally have had on our group tours. Most important, Laura and I were able to skip the tourist traps, avoid big crowds and take our time in the places we enjoyed most. In the end, our southern African experience was exactly that – OUR own experience that can’t be found on the brochure of any tour operator. @Laura We are no car mechanics, I can assure you. I would still go for the adventure and hope to learn some things along the way. I would splurge for a satellite phone (we didn’t) and you should be sure to bring extra goods/water before setting out in case you were to get stuck. Oh, and go with a Toyota Hi-Lux, not a Land Rover. Land Rovers are notoriously fickle and if you’re not a car person, they can be a real pain to work with. Hi! We have been thinking this is the way we also would like to experience south Africa! For all the reasons you already mentioned, it just seems this is the logical way to go. I’m am a little daunted though by the possibility of car troubles along the way. I realize this may be a crap shoot to some degree but was anything along the way more than you were able to handle car wise? As a couple of soon to be travelers with absolutely no mechanical know how, this is definitely my biggest concern.